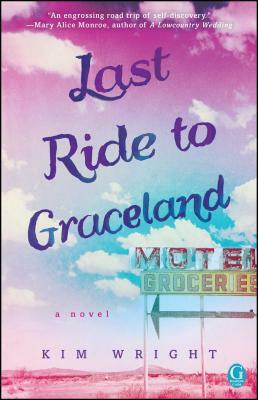 Lauded for her "astute and engrossing" (People) writing style imbued with "originality galore" (RT Book Reviews), Kim Wright channels the best of Jennifer Weiner and Sarah Pekkanen in this delightful novel of self-discovery on the open road as one woman sets out for Graceland hoping to answer the question: Is Elvis Presley her father? Blues musician Cory Ainsworth is barely scraping by after her mother's death when she discovers a priceless piece of rock 'n' roll memorabilia hidden away in a shed out back of the family's coastal South Carolina home: Elvis Presley's Stutz Blackhawk, its interior a time capsule of the singer's last day on earth. A backup singer for the King, Cory's mother Honey was at Graceland the day Elvis died. She quickly returned home to Beaufort and married her high school sweetheart. Yearning to uncover the secrets of her mother's past--and possibly her own identity--Cory decides to drive the car back to Memphis and turn it over to Elvis's estate, retracing the exact route her mother took thirty-seven years earlier. As she winds her way through the sprawling deep south with its quaint towns and long stretches of open road, the burning question in Cory's mind--who is my father?--takes a backseat to the truth she learns about her complicated mother, the minister's daughter who spent a lifetime struggling to conceal the consequences of a single year of rebellion.